Cloud computing can be defined as the process of delivering storage and computing capacity as a type of service to a heterogeneous group of end-users. The name of this process was taken from the constant use of clouds as a means of abstracting the system diagrams contained in complex infrastructure. The entire process delegate its services with the help of a user’s data, computation and software used over a network. Cloud computing is also said to overlap considerably with SaaS or software as a service. It is also useful in detecting what the IT environment specifically needs while also increasing its capacity or adding more capabilities without having to invest in new infrastructure, license new software and train new staff. Cloud computing also involves the use of pay per use or subscription based services that are proven to be effective in extending the existing capabilities of the IT environment. If you want to gain more information about how cloud computing is carried out, then enrolling in a cloud computing certification program is a wise move. It should be noted that the process is also defined as a type of technology which operates with the help of central remote servers and the internet as a means of maintaining its applications and data. It also helps businesses and consumers in effectively using applications without having to install these and in accessing their files on any PC as long as it has an internet connection. This type of technology is a major help in efficiently computing data through centralized storage, bandwidth, processing and memory. Cloud computing comes with three major segments and these are application, connectivity and storage. It would be difficult for you to successfully carry out the cloud computing process if your knowledge about it is limited. This is the main reason why you should take part in a cloud computing certification program. 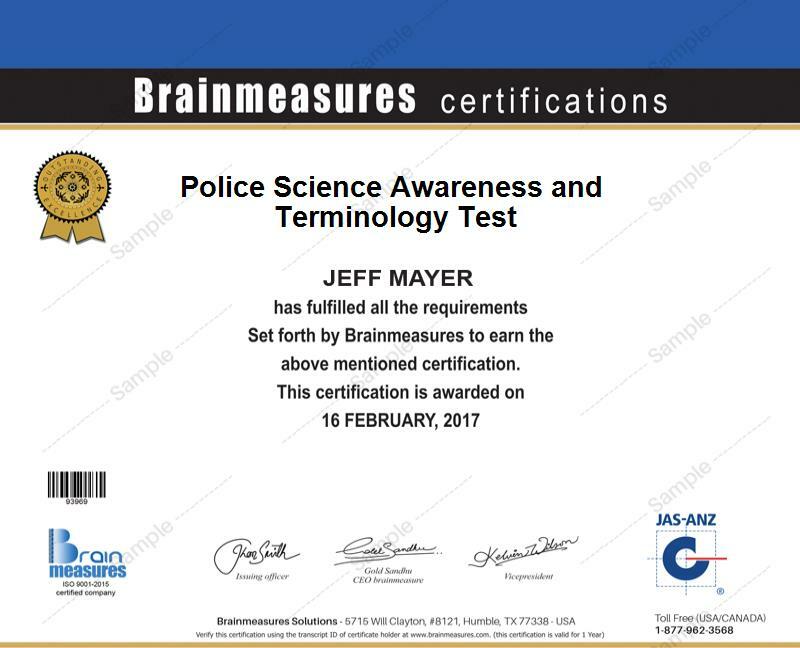 A reliable and comprehensive cloud computing certification course is offered by Brainmeasures so it is highly recommended for you to check out this legitimate online certification company. What makes the cloud computing certification program from Brainmeasures useful for anyone who desires to learn more about the process is that each of its topics are explained in a detailed manner. The company also offers resources that are guaranteed to provide the best information about the field. It should also be noted that getting your cloud computing certificate through Brainmeasures requires you to undergo a well-developed and detailed skill testing process. You need to receive a passing percentage after taking the online exam for cloud computing before you become certified in the field. The cloud computing certification program from Brainmeasures can benefit business owners or professionals who wish to improve the performance of their business through the cloud computing process. This program is perfect for you if you strongly desire to exploit all the benefits that the cloud computing process can offer. With the help of this program, you will know the basics of using the cloud computing process in revolutionizing all areas of the information technology department of an organization, thereby allowing the entire IT staff to deal with the rapidly changing environment of the organization. Expected Salary for Cloud Computing Certification Holders Being an expert in cloud computing also translates to a better flow of income since a better salary is offered for professionals in the field. Holders of cloud computing certification will enjoy an average annual salary of $105,000 according to simplyhired.com.